Surrounded by lush forest in the Sierra Madre Mountains and surveying a broad valley below, this luxury resort offers elegant guest suites with private terraces overlooking landscaped gardens. Located just steps from the elegant Paseo de la Reforma Avenue, this contemporary 5-star hotel with its gardens, pools, fountains, patios and serene interiors is a refuge from the hubbub of Mexico City. 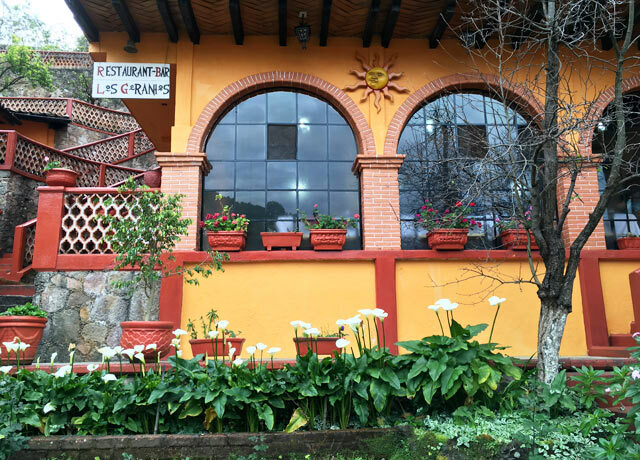 Within the heart of the colorful mountain village of Angangueo, this simple hotel exudes rustic local charm and provides convenient access to El Rosario butterfly sanctuary. 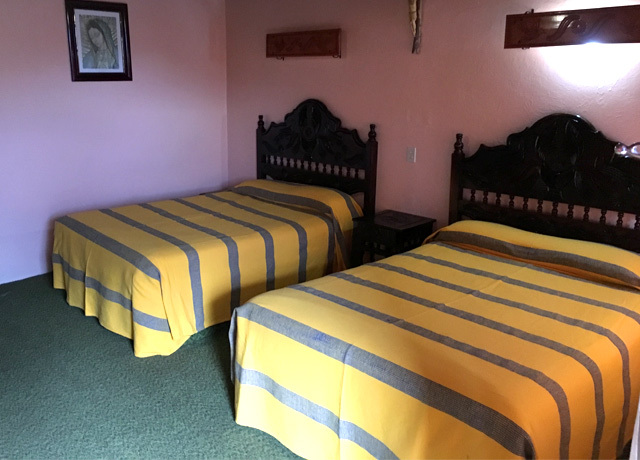 This small hotel near the center of the historic silver mining town of Anguangeo provides clean, colorful rooms with modest amenities and is an ideal base for visiting the monarch colonies. 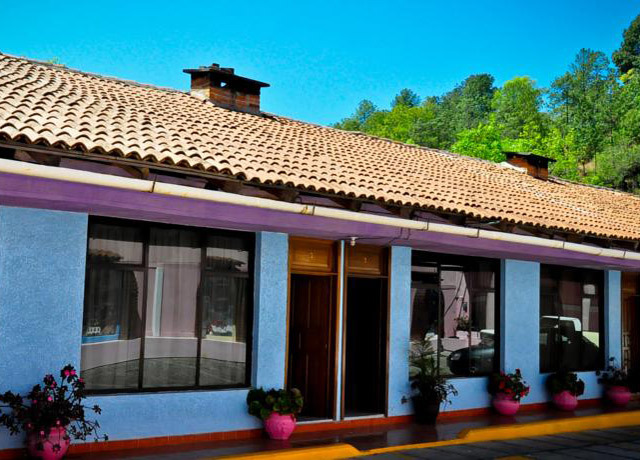 The Hotel Avandaro is situated in a lush natural environment surrounded by forest in the heart of the Sierra Madre Mountains. Its newly remodeled multi-suite villas overlook nearly 300 acres of landscaped gardens. Expansive guest rooms have high beamed ceilings and hardwood floors, and the interiors blend wood, brick, stucco and vibrant Mexican textiles for a warm. 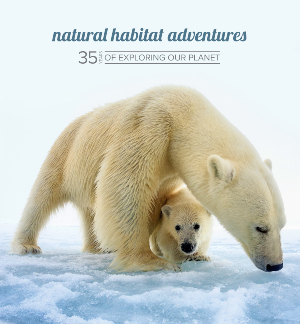 natural atmosphere. Rooms are furnished with one king-size or two double beds with crisp luxury linens, flat screen cable TV, free Wi-Fi, table and two chairs, spacious bathroom and in-room safe. A substantial breakfast buffet is included, which guests may enjoy in the dining room or on the sheltered terrace overlooking the pool and gardens. Avandaro is a full-service resort offering first-class spa facilities, large jetted and still soaking pools, a junior Olympic-size swimming pool, fitness center, tennis courts and golf. This sleek contemporary 5-star hotel, with its gardens, pools, fountains, patios and serene interiors, is a refuge from the busy hubbub of Mexico City. The hotel is located 30 minutes from Benito Juárez International Airport and is just steps away from elegant Paseo de la Reforma Avenue. Strategically positioned in the exclusive financial and business district of Polanco, the hotel is close to places of interest such as Bosque de Chapultepec, the Museum of Anthropology and History, and the Rufino Tamayo Museum. Imagined as a hotel-museum by architect Ricardo Legorreta, its walls and corridors offer display space for more than 600 works of art from renowned contemporary painters, exhibited in homage to Mexico's cultural heritage. The hotel's 712 rooms have direct-dial telephones, mini bar, TV with on-demand service, wireless Internet, laptop connections, electronic safe deposit box, work desk, reclining armchair and coat stand. Spacious bathrooms have a vanity mirror, scale, hair dryer and amenities set. A well-equipped gym overlooks the main garden. Three swimming pools are on the premises. Ten different restaurants and bars offer a wide slate of options for dining, relaxing and socializing. Posada Don Bruno is located in the small mountain village of Angangueo. In this remote location, amenities are limited, but enormous charm and authenticity prevail. 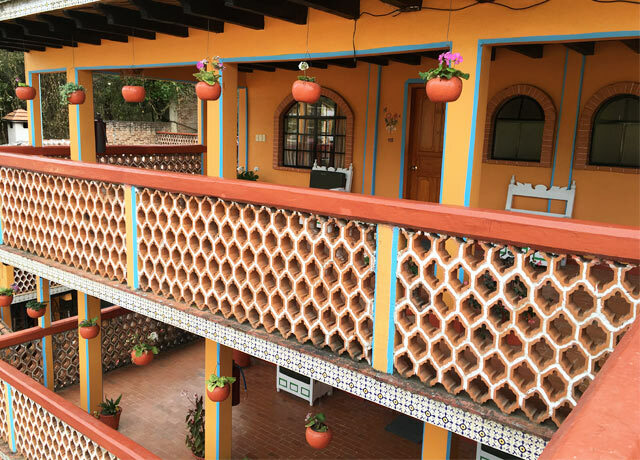 This simple local hotel enjoys an ideal location in the heart of town, with balconies overlooking the lovely courtyard gardens and the red-tile roofs of the village. Don Bruno is one of the nicest accommodations in Anguangeo and, even so, the rooms are not heated, and you must run the shower for a long time to get hot water. But extra blankets and a space heater are provided in each room, and the rustic mountain ambience adds to our trip. You can also choose to have a fire made in your room's wood-burning fireplace in the evening, to take the edge off the chill. We base our butterfly trips in Anguangeo for the special local atmosphere, the town's involvement in monarch conservation, and its close access to Rosario butterfly sanctuary. 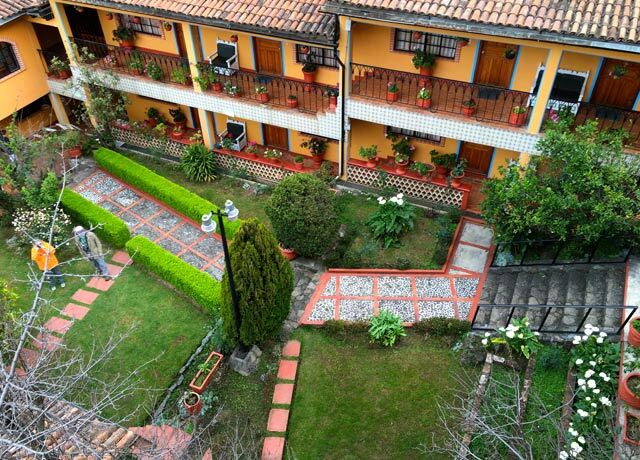 La Margarita is a simple local hotel located near the center of the small historic mining town of Anguangeo. While its amenities are modest, rooms are clean and colorful and provide a base steeped in local atmosphere for our nearby butterfly activities. Spacious rooms have en suite bathrooms, free Wi-Fi and cable TV. Like all accommodations in this remote mountain village, the hotel is not heated. However, rooms have wood-burning fireplaces, which take the evening chill off while adding rustic ambience. Extra blankets are also available. We base our butterfly trips in Anguangeo for the special local atmosphere, the town's involvement in monarch conservation, and its close access to Rosario butterfly sanctuary. Fill out the form below to receive additional information about our Kingdom of the Monarchs or give us a call at 800-543-8917.